Are you getting stressed about your upcoming relocation to Albany? You can start de-stressing immediately by choosing the right mover to handle your belongings. Consider the services of Simonik Moving & Storage, a BBB-Accredited company that has been in operation since 1977. Our team is focused on providing excellent customer care for all relocations. 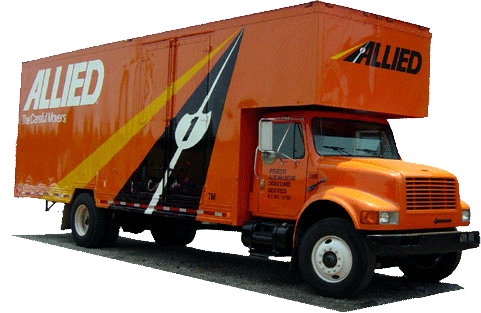 When moving from NJ to Albany, you can certainly benefit from our status as Allied Van Lines agents. We are a part of a nationwide network of moving and storage companies, all of whom can assist with the completion of a long-distance relocation in short order. It's essential to pick a moving company that is able to safely transport your household items without harm, whether you have an studio apartment or large suburban home. Simonik can show you what we offer during a complimentary at-home estimate of our moving costs. We will also assign you a Relocation Coordinator who takes you over our services and manages everything while moving to Albany from New Jersey. When you need short- or long-term storage for your household items, Simonik has you covered. Our team can store your household items in containers built for long-distance shipping. We'll keep your items in one of our secure warehouse facilities as long as it takes for you to complete your New Jersey to Albany move. Simonik's dedication to customers throughout North and Central Jersey has earned us local recognition by industry leaders. Our previous 'Mover of the Year' award from the new Jersey Warehousemen and Movers Association is one of our proudest achievements. We're pleased to serve customers throughout Hunterdon, Mercer, Middlesex, Monmouth, Morris, and Somerset counties. Plus, our team remains current on long-distance move requirements thanks to our ProMover status from the American Moving and Storage Association. Simonik goes the extra mile be there for your to move from NJ to Albany. Get started with the NJ to Albany moving process by calling Simonik Moving & Storage for more information about our services. We'll also provide a free, no-obligation moving estimate when you contact us via our online quote form!